Ten and a half months out of the year, supermarket cherries are sad, rubbery imports that are just one step away from a canned fruit cocktail. But when you’re sitting pretty on the goldmine of stone fruit that is Washington, late June is the time to cash in. It never occurred to me to do anything with the first summer cherries than eat them by the bowlful, like the idiom says. Then I ordered 20 lbs. from a family friend who grows them on her orchard in Zillah, Washington; a town in the heart of the Yakima Valley with a gas station shaped like a teapot (go there). For the last few years I have looked forward to her exclamation-ridden e-mail in late spring, taking orders for Bings, Rainiers, and Vans by the boxful. ‘The Cherry Baroness’, as she is called, runs her operation a bit like the fruit mafia, making deliveries at inconspicuous locations around Seattle on just a moment’s notice, whenever the crop is ready. You don’t run the cherries, the cherries run you. My 20 lb. box arrived just as the fruit flies were going strong, and it was a race against the clock to get them washed, stemmed, and pitted. Using every spare bit of surface area in my small apartment, I laid hundreds of the deep red gems flat out on baking trays, and rotated them in and out of the freezer. This method, called individual quick freezing or ‘IQF’, keeps foods from turning into a misshapen blob while frozen. Once cold and hard, I scooped them into bags to store away for pies, clafouti, and smoothies throughout the year. With a freezer barely closing, there were still cherries leftover, which was the perfect excuse to bring out the dehydrator. 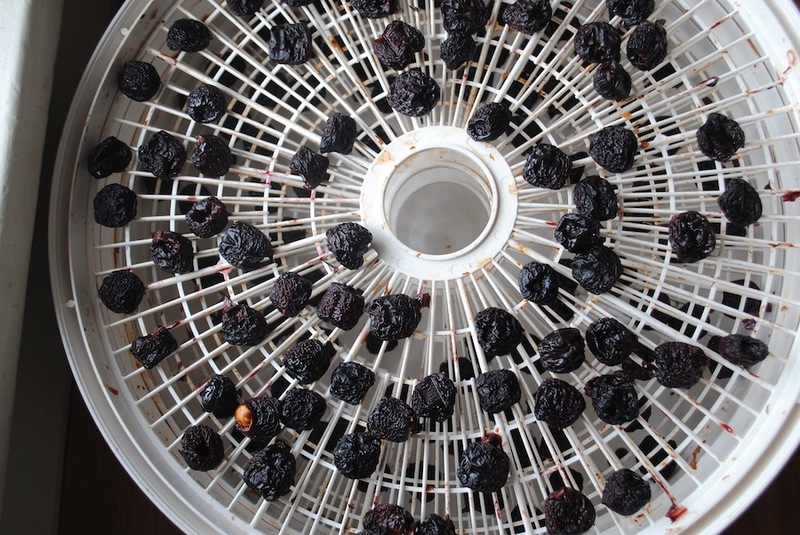 Once pitted, drying the fruits takes almost no work, and could be done just as easily in an oven at very low heat (125 degrees) for 12-18 hours, rotating periodically. 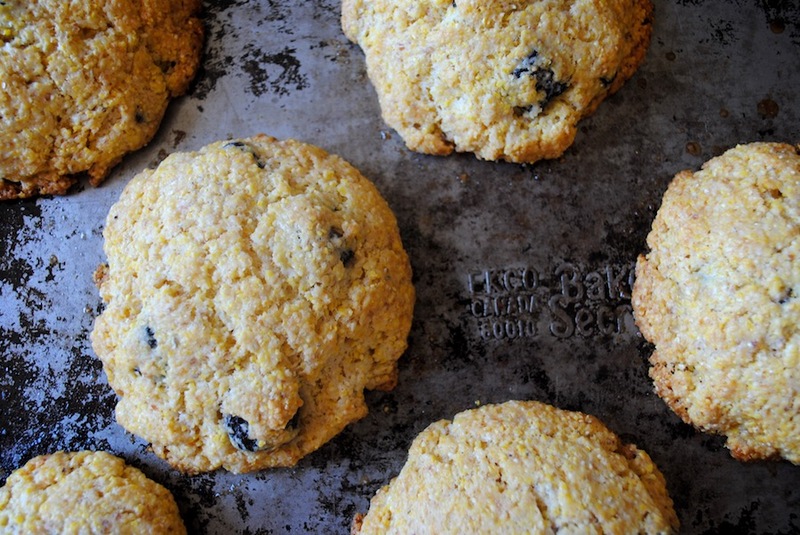 The slow pull of moisture creates an intensely sweet and tart flavor, and pairs perfectly with scones made of coarse cornmeal and plenty of butter. 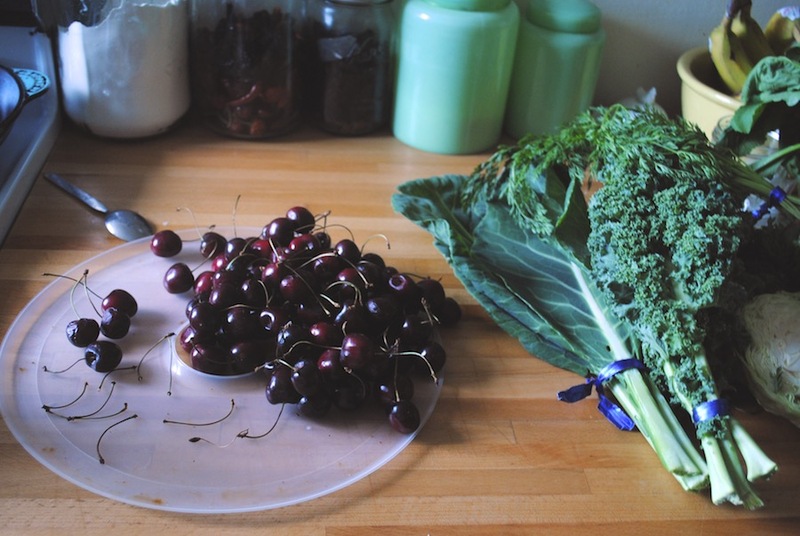 Keep in mind—processing cherries is a project. 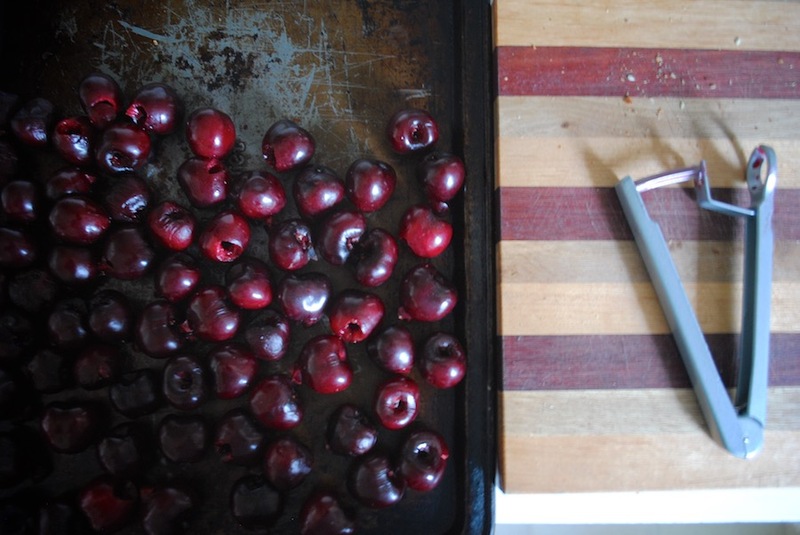 Invest in a cherry pitter. Your house will look like a murder has taken place. But eating cherries at their peak all year, frozen or dried, is totally worth it. Preheat oven to 165 degrees (if using a dehydrator, set the temperature to 135 degrees and dry for 12-16 hours, rotating trays). Cherries are done when they feel taut and sticky inside. No flesh should ooze out when you squeeze it, but it should still feel slightly soft. At 12 hours, start to check for doneness. Be sure to remove smaller cherries earlier, as not all fruits will dry at exactly the same time. In a large bowl, sift together the flour, baking soda, and baking powder. Add the salt, sugar, and cornmeal and mix together. With a pastry cutter, cut the butter into the flour mixture until it is the size of peas. Mix in the cherries, and then make a well in the center and pour in the milk mixture. Mix briefly, just until the dough comes together; it should be stiff and still a little sticky. (Don’t worry about getting every last bit of flour.) Let rest for 5 minutes. Form the dough into balls about 2 inches in diameter and place them on the baking sheets a couple of inches apart. Place in the oven and immediately turn down the temperature to 375° F.
Bake for 20 to 25 minutes, rotating the sheets halfway through, until the scones are golden. Cool on a wire rack.